The Shark had a tough game today in the 6-5 Nationals win... Bernadina went 0 for 4 with 3 Ks and an error. Meanwhile, his left field competition, Mako Morse, arguably sealed his fate with yet another homerun this Spring (his 5th) and 3 RBIs. 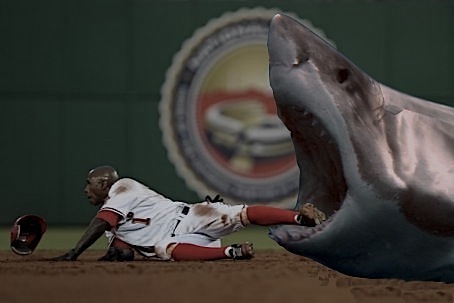 It looks like the Shark's best chance to claim a starting position will be in center field. 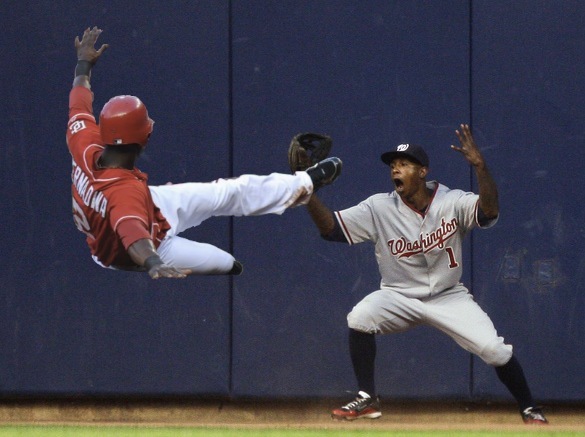 To do that, he has to battle Nyjer Morgan. But ultimately, a victorious shark. Don't forget that Bernadina almost collided with Nix on a play that he should have to yielded to Nix on. Bernadina may have to wait to devour an injury opportunity. 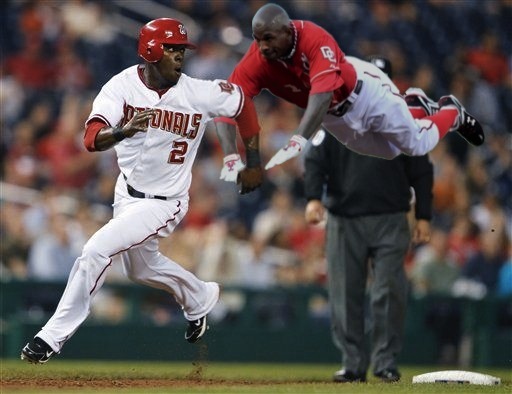 Here's the question: Does the Sharkadina support a Bernadina trade if the Nats are unable to fully appreciate his greatness?